Be aware of what your trailer warranty covers and what it doesn’t. Boat trailer manufacturers put a longer warranty on components they made. However, warranty might be shorter for the parts made by other companies. Scrutinize the warranty before making a purchase. Make sure that your boat trailer is safe while you’re out on the water. The last thing you want is someone stealing your trailer. 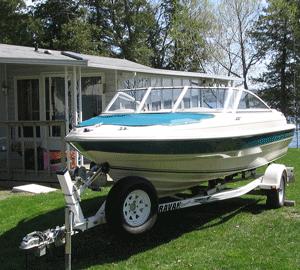 Check if the new boat trailer you are purchasing includes a lock or any safety device. The boat trailer will not be in a perfect shape forever. However, with proper maintenance, you can extend its life and make sure it functions at its best all the time. Make sure to ask your salesperson what kind of maintenance is required on the boat trailer. Check if there is a D-I-Y maintenance guide provided upon purchase. Also, inquire if the manufacturer provides technical support if ever you have maintenance questions. The general rule here is the more rollers the better. The right number of rollers for your boat trailer will ensure that the weight of the boat is evenly distributed. Each roller won’t be under too much stress, which is good for both the trailer and the boat. The roller material is also important to avoid damaging your boat. It’s best to ask your boat manufacturer for the required number and quality of trailer rollers for your boat. Check the compliance plate on the boat for the axle load capacity. Make sure that your axle is rated to hold the weight of your boat. Boat trailers can have single-axle, tandem axles or three axles. Ask your salesperson which one is better suited for your boat. Trailers with 3 axles are recommended for boats weighing over 4.5 Tons. 0 to 749 kg – No trailer brakes required. 750 to 1999 kg – Brakes required on one axle (mechanical brakes recommended). 2000 kg+ – A vehicle cabin-operated braking system is required. Check if brake is included in your trailer or BMT package. Galvanizing the boat trailer makes it rust-proof. This is very important for your trailer to withstand all types of weather. Your manufacturer should have you covered, but it’s always best to ask to be sure. Considering all these boat trailer features will help you a lot in purchasing your new trailer or BMT. It will also be worthwhile to seek a second opinion before buying a particular trailer. 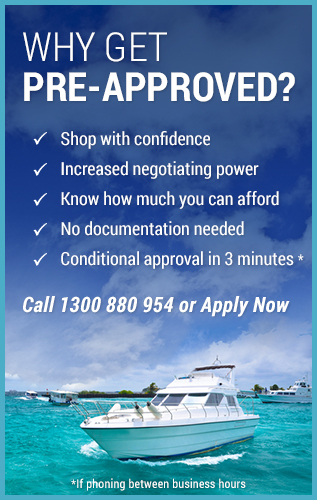 Ask a boat salesperson for advice and see if it matches the one you get from your trailer salesperson.